We introduce our business as a notable entity of a qualitative array of Flange Gasket. Being a highly effective, lean and fast-moving organization, we are highly instrumental in providing an extensive array of Exhaust Flange Gasket. Having vast industry experience as one of the leading organizations, we are engaged in providing quality approved range of Exhaust Flange Gasket. Leveraging over the skills of our qualified team of professionals, we are instrumental in offering wide range of Exhaust Flange Gasket. Thickness: As per Customer Requirement. 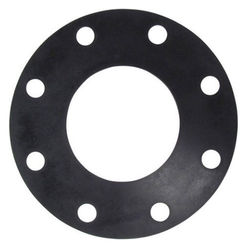 Exhaust Flange Gasket comes in various types of materials like Asbestos, Non-Asbestos with or without Heat shields in ASA material, SAS material and MLS (Steel Laminated) materials. These Fabricated with premium quality asbestos and non-asbestos materials. These gaskets are known for reducing exhaust emissions, improving power output and fuel efficiency. These exhaust flange gaskets are used mainly in exhaust system of the engine and these are used in the exhaust pipe to prevent leakage. It also comes in different materials like asa, sas and mls. Available with us is a Graphite Filled Silencer Gasket, which is also known as Exhaust Flange Gaskets. This kind of gasket is mainly used in exhaust system of the engine to prevent leakage from the exhaust pipe. 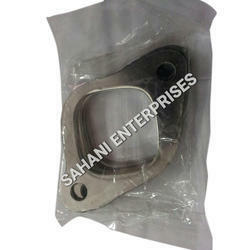 We use high quality material like ASA, SAS and MLS for manufacturing this gasket.